Teaching Activity. By Bill Bigelow, Adam Sanchez, and Tim Swinehart. A role-play activity engages students in building solidarity among different groups and organizations fighting fossil fuels and searching for alternatives. People’s Climate March, September 24, 2014, New York City. Source: Joe Brusky. These days, it seems that no place is safe. When we wrote this role play, each of us was living in Portland, Oregon—hardly ground zero for fossil fuel extraction. And yet, fossil fuels have become part of our physical and political landscape. There are still three proposals to bring millions of tons of coal every year down the Columbia River, by barge and rail, to be exported to Asia from Oregon and Washington. Trains filled with highly explosive Bakken Field oil from North Dakota regularly snake through the Portland metropolitan area, and one oil project alone — Tesoro Savage in Vancouver, Washington — would ship up to 360,000 barrels of crude oil every day and require at least four daily mile-and-a-half-long oil-only trains to keep the spigot open. Multiple proposals are still alive to export liquefied natural gas, as well as one of the largest industrial development projects in Portland’s history, to export propane. 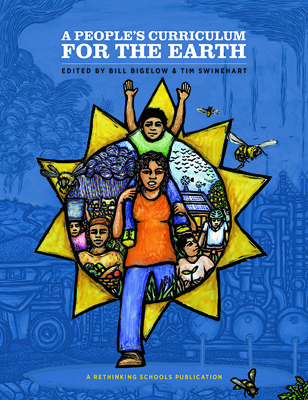 The paradoxical feature of the fossil fuel industry’s imperial ambitions is that the more that communities are threatened or affected, the more likely these communities are to be drawn into the fight against fossil fuels and for greener alternatives. As we write, 13 Greenpeace activists hang from the St. Johns Bridge over the Willamette River in Portland, and the river itself is filled with “kayaktivists” — water-borne demonstrators — all seeking to block a Shell Oil icebreaker, the Fennica, attempting to make its way to the Arctic to help Shell drill for oil in the Chukchi Sea. Download lesson to continue reading. Teaching Activity. By Ursula Wolfe-Rocca, Bill Bigelow, and Andrew Duden. Article by Ursula Wolfe-Rocca. 15 pages. 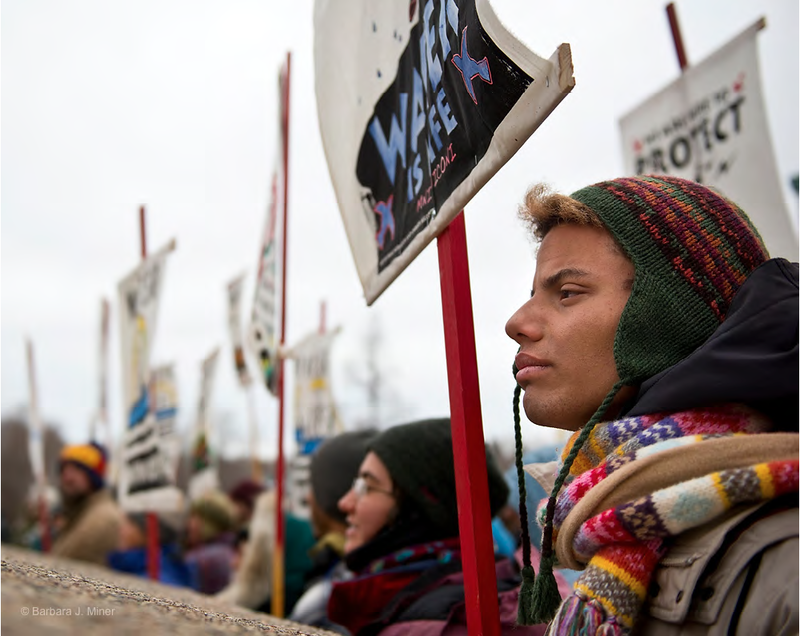 A role play helps students recognize the issues at stake in the historic struggle of the Standing Rock Sioux to block construction of the Dakota Access oil pipeline.